my old friend . . . The Nocturnes is an organization dedicated to night photography. Founded by Tim Baskerville in 1991 in San Francisco, it has grown to become the premier source of information and education pertaining to night photography, as well as an international community for night photographers. "Our mission," states Baskerville, "is to promote night photography, so that people come to think of it beyond the visual cliches of neon lights, Christmas tree lights and fireworks." 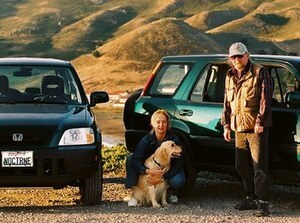 Tim Baskerville, B.F.A., received his degree in photography and liberal arts from the University of San Francisco. He has been photographing at night for more than 25 years, and currently teaches night photography at U.C. Berkeley Extension in San Francisco and Berkeley, U.C. Santa Cruz. and the College of Marin. He has taught at the Photographic Resource Center at Boston University, Boston; RayKo Photo Center, San Francisco; and the Cape Cod Photographic Workshops on Cape Cod. He has written articles about Night Photography for Camera and Darkroom, the Friends of Photography with Nazraeli Press, and Photo Metro magazine. He originally curated The Nocturnes, a Night Photography exhibit, in 1991, and founded the subsequent critically acclaimed Web site - www.thenocturnes.com - in 1996. In addition to workshops and classes in California, he conducts a photographic workshop to the West of Ireland, once a year. His work has received many awards, and has appeared in numerous publications and exhibitions in this country. In addition to his Nocturnal handiwork, seen here in the Gallery of The Nocturnes Web site, more of his work can be viewed at Project1006-dot-com. Copyright 1996-2018 by Pacific Media Arts, Inc. All rights reserved. Do not duplicate or redistribute in any form.